Cupping is how we taste coffee at the roastery and you can try it at home, too. 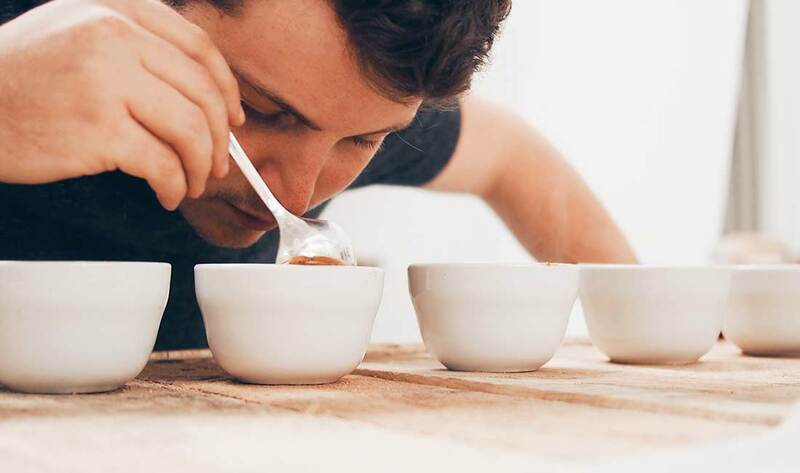 Cupping is one of the best ways to learn more about flavour, aroma, and to share that with other people. 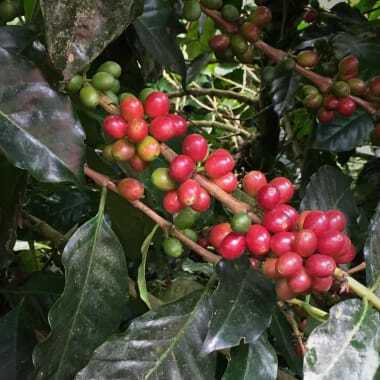 We cup every batch of coffee that we roast here at Sample to make sure it meets our quality standards, but it’s also a chance for us to talk about flavours. We’ll each taste the coffee then compare notes and keep tasting to understand what we’re each picking up in the cup. Place a cup on the scales and tare, then fill the water to check how much the cup holds. This will tell us how much coffee we’ll need in each cup. This guide is for 150ml cups, so adjust amounts as you need. Run 2g of the first coffee through the grinder and discard. This will remove any stray grounds from the last coffee you used, since we want to taste only the flavour in the coffee we’re tasting. Use a medium-coarse grind setting, and put the grounds in the first cup. Label the cup and sit on the bench (hide the label under the cup or face-down for a blind cupping). Put the grounds in the second cup, sit the cup alongside the first and also label. We group the cups of the same coffee together. It also helps to open your mouth while doing this: it helps deliver more aromas to your palate. Prime the grinder because you’re switching coffees, and space the two new cups slightly apart from the previous so it’s easy to see the groupings. Heat water to approx 94° C and pour 150ml (150g) of water into each cup. Make sure each cup is at the same level. You’ll need quite a bit of water: for 3 coffees (6 cups) you’ll need at least 900ml. Fill a glass or spare cup with the remaining hot water, and heat your spoons. You’ll notice a ‘crust’ on top of most cups after 4 minutes. Use the back of a spoon to break through the crust. This will release gases from brewing: as you break the crust, put your nose near the surface and inhale. Take note of any new flavours your notice. Rinse the spoon in the glass of hot water, and keep working along the line of cups. You should try to move at roughly the same pace as your poured. Don’t worry if there are still grounds left on the top of cup: we’ll clean that up in the next step. If there are two people, you can do this step at the same time for the two cups of each coffee. Using one or two spoons in a circular motion, remove any remaining grounds floating on the surface of the cup so you don’t end up drinking them later. If there’s not many, you can run the back of the spoon over the surface gently and it’ll collect most of them. We use a scooping motion running the two spoons around the rim of the glass, but use any method you’re comfortable with. The key is to leave as much liquid as possible, and not to disturb the bottom of the glass. The cups will have cooled and you’ll be able to taste more flavours. 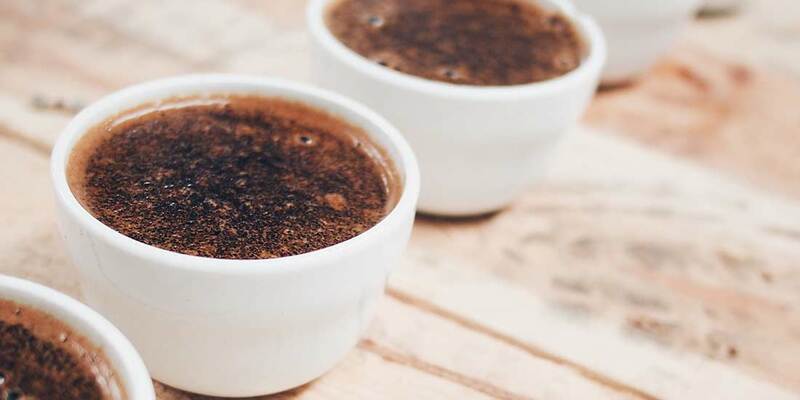 Take a spoonful of each coffee and slurp quickly: the aim is to aerate the coffee so it coats your palate and you can taste more flavour and aroma. Rinse your spoon in the spare cup of water between every slurp. Spit each mouthful into a cup or jug between each cup, so you don’t get too wired. Make notes of flavour for each pair of cups, or for an individual cup if you notice a difference between a pair. 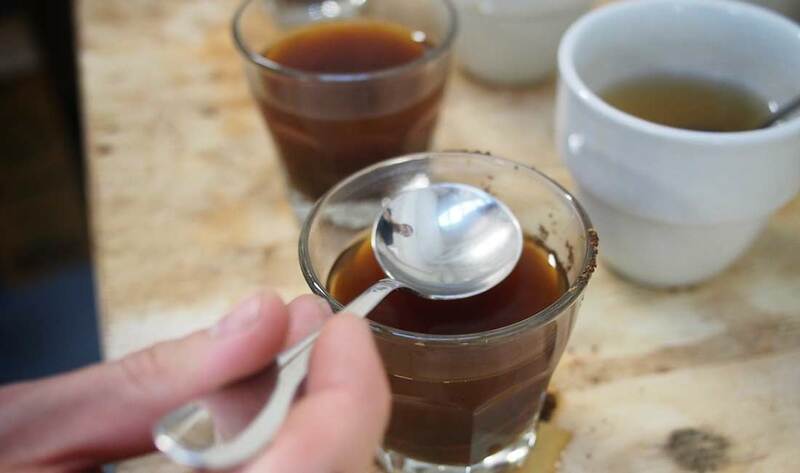 Once you’ve tasted all the cups, work your way around at least once more and you’ll probably notice differences that you missed the first time as your palate adjusts to the subtle changes between cups. It’s best not to talk about what you taste until everyone’s tasted all the cups: you’re very open to suggestion around flavour, so someone saying “I’m getting raspberry” will prompt everyone else to pick up a similar flavour. The Specialty Coffee Association of America’s SCAA Flavor Wheel is a great reference for referencing flavours. It’s a great visual prompt for identifying flavour and aroma: work from the inside out to get more specific if you can. 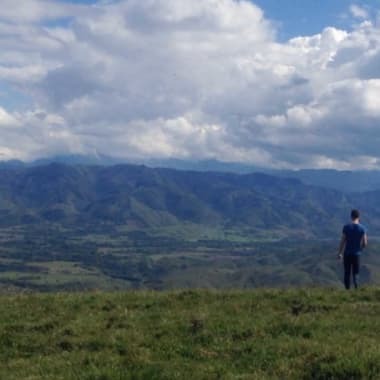 The SCAA also has documented cupping standards around the specifics of almost everything about cupping, if you want to nerd out on the details. Coffee delivered to your door. 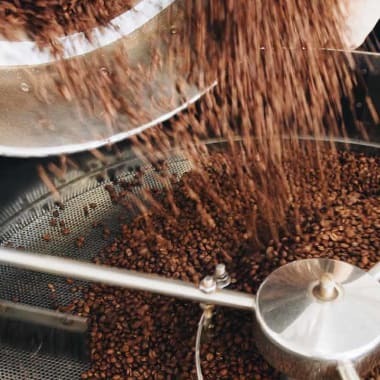 Grab some specialty coffee delivered once, or start a coffee subscription from Sample Coffee and get delicious coffee delivered fresh to your door anywhere in Australia.